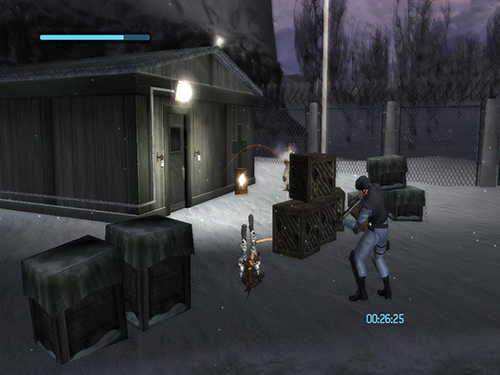 For this level it helps to have unlocked the unlimited ammo cheat for at least one weapon. 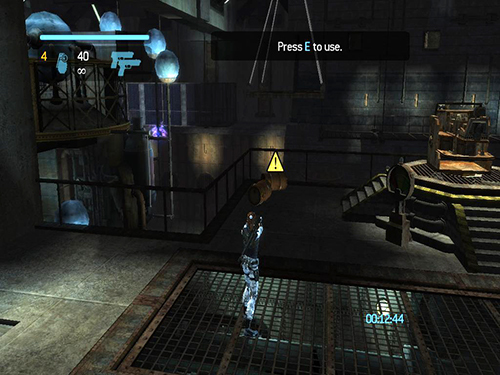 You can avoid many of the enemies in this level, but you will have to fight some of them. The ammo cheats help. 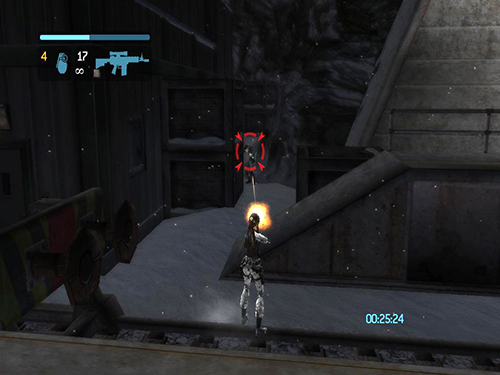 If you are playing the Time Trials in order, you'll now have unlimited ammo for the SMG, Assault Rifle and Shotgun. Take the one you like the best or along the way you can switch between weapons; it is your choice. 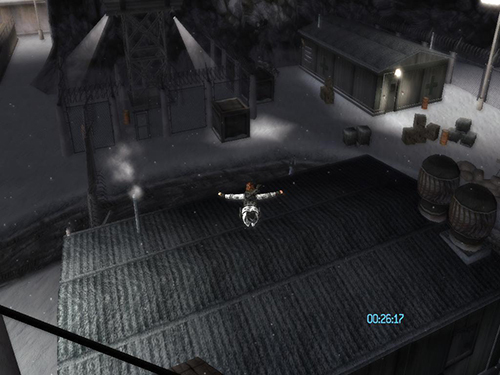 Once you are on the roof, ignore the machine gun. You don't need to kill anyone at this point. Just jump from the roof to the truck and from the truck to the ground. Now roll through this area until you reach the ladders. The enemies will shoot at you, but you won't take too much damage if you keep moving. 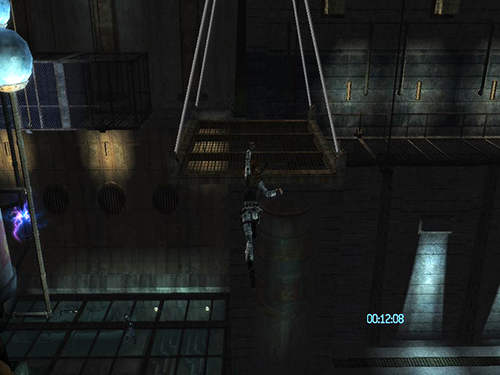 Once you are on the upper level, jump to the roof of the next building and from there to the ground again. Again there is no need to kill anyone here. 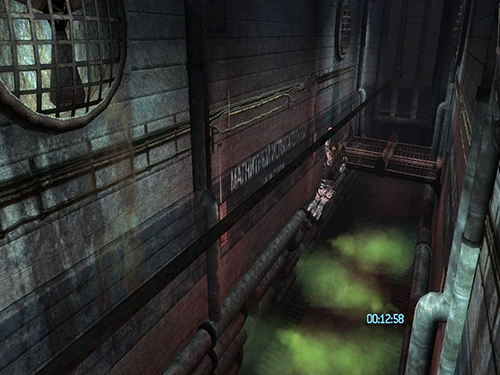 Just roll past the enemies and enter the building with the green cross to trigger the cutscene. Still the same thing: roll past the enemies in order to save time. 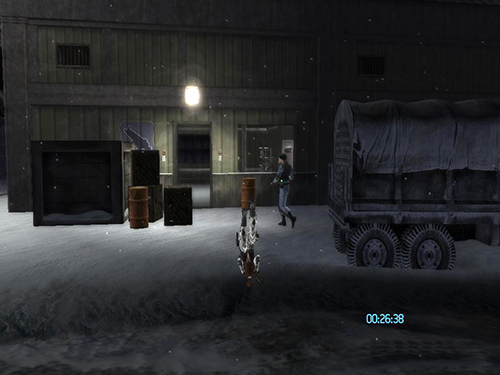 It is very hard for them to shoot Lara while she is rolling. You just need to look for grenades since they can do a lot of damage. 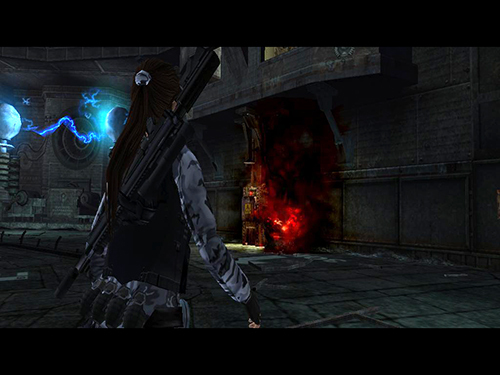 Roll to the big gate and use the keypad to open it. Beyond the big gate, make sure to get on the left side as soon as possible and roll again to reach the top faster. Ignore the two guys here as well and enter the control room. 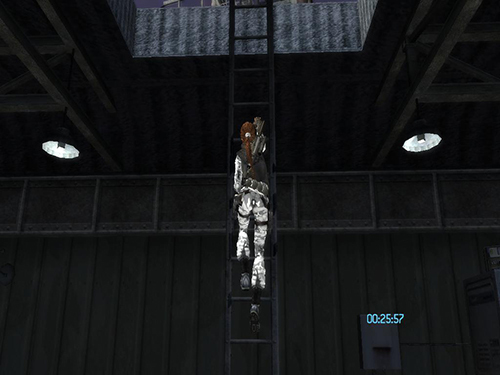 As always, make sure to tap Interact to climb ladders faster. 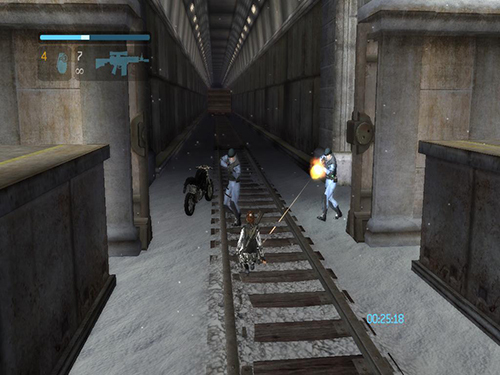 The only thing you need to do here in order for train to start moving is to kill one guy in blue uniform. 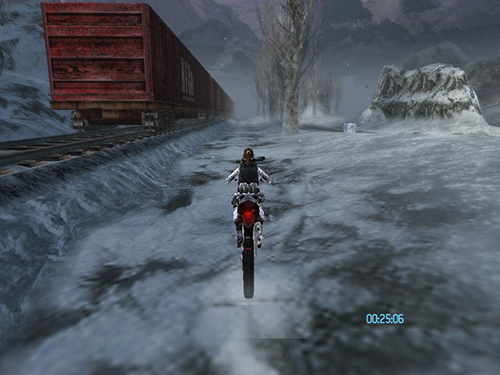 As soon as the train starts to moving roll past the other enemies to reach bike. Again, ignore the two guys here. Lara has no time for them. Just get on the bike and go. Like the motorcycle area in Peru, there are no specific tips for this part. The only things I can suggest are to pick up and use health packs along the way, since you can lose a lot of time if Lara dies, and shoot all the enemies as quickly as possible. Do not try to avoid them; you must kill them all in order to advance. 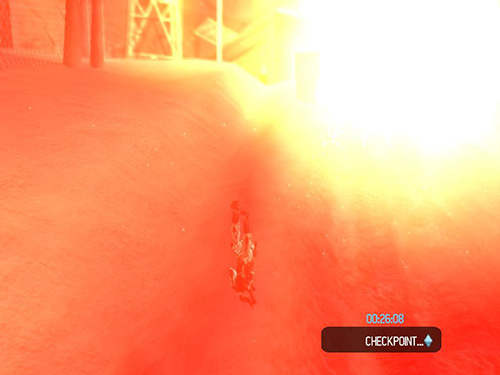 This area is huge and checkpoints are rare, so make sure to concentrate and relax. OK, the fun with the bike is over. Now it is time to get back to business. 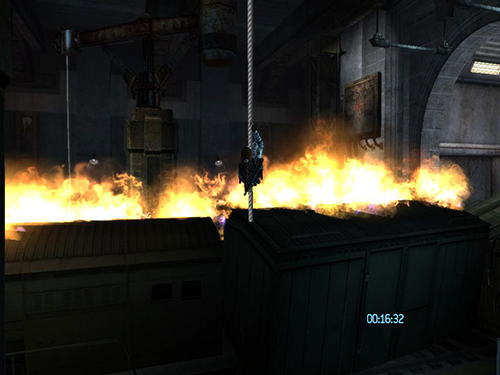 Kick away the crate, grapple the crane arm, and jump to the rope. 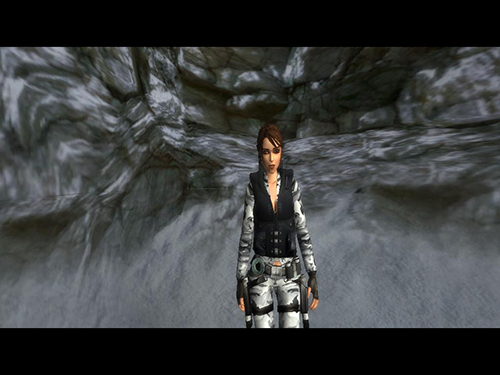 Then, instead of climbing all the way around the room, turn Lara 45 degrees to her left. Get her swinging high and jump her over the burning wreck. She will take a little damage, but you'll save precious seconds. 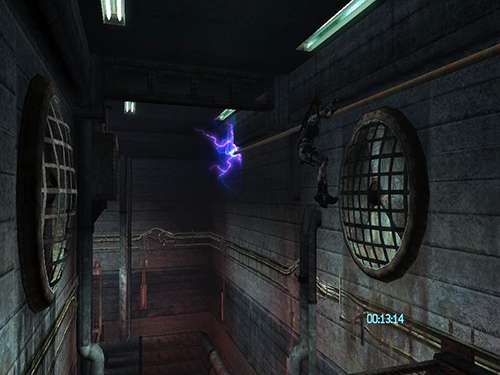 Climb onto the platform, grapple the crane arm, jump to the rope and continue as usual. 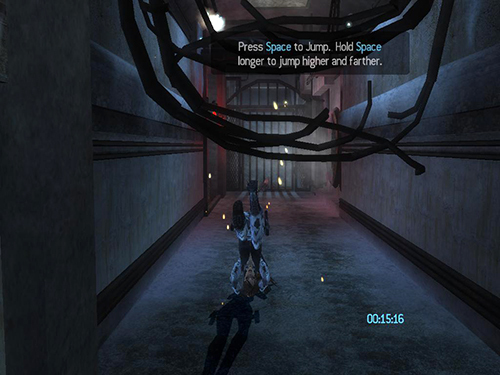 Roll or "Swan Dive Jump" through linear areas like the beginning of the ventilation ducts. It is also much faster to roll than to crouch when moving past the charged cables. 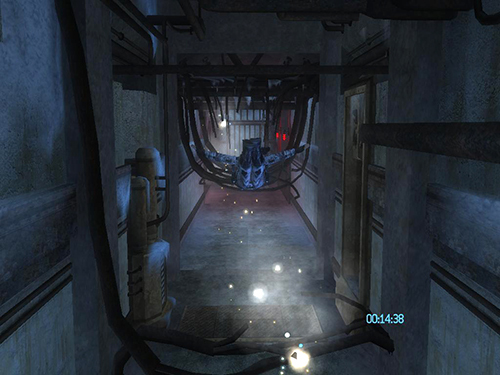 When there are two cable traps, one on the ground and one above, you can "Swan Dive Jump" to pass the first trap and then roll under the next one. 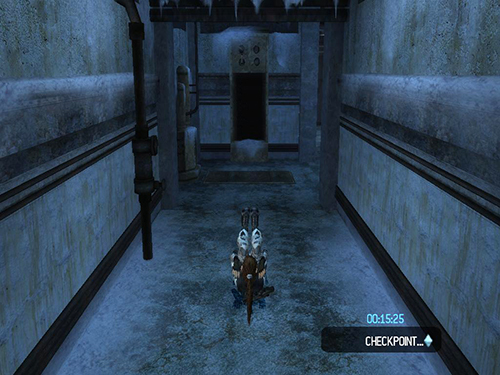 At this point, you will need to tap Interact to Fast Traverse so Lara can avoid the electricity, but it's always a good idea to use this move when climbing and traversing during Time Trials. 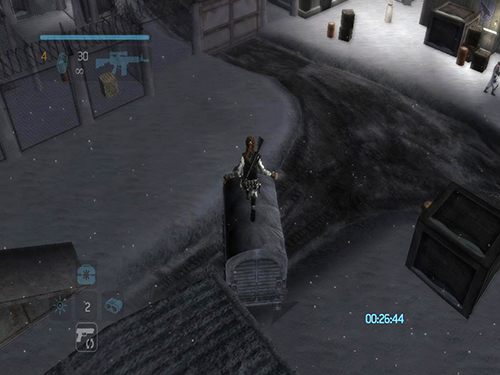 Anything that makes Lara move faster is helpful. Here as well, make sure to move faster. In the room with the Tesla gun, you can take a big shortcut. Shoot the explosive barrels to the left of the Tesla gun. Move one of the large crates into the corner next to the railing where the barrels were. 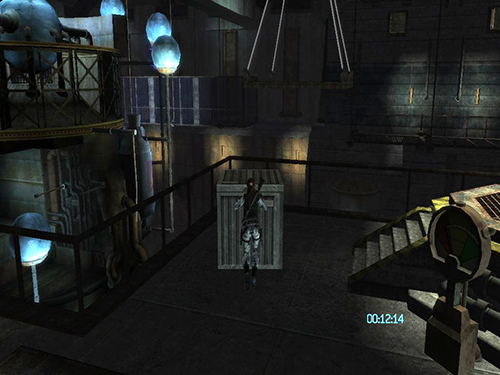 Climb onto the crate and jump to grab the edge of the hanging platform ahead. From it jump to the other side and continue on. You saved yourself a bunch of time by using a shortcut. Now you can focus on Amanda's pet. The only thing I can suggest here is to roll around the room to each of the switches. That way is it going to be much harder for the monster to grab Lara. 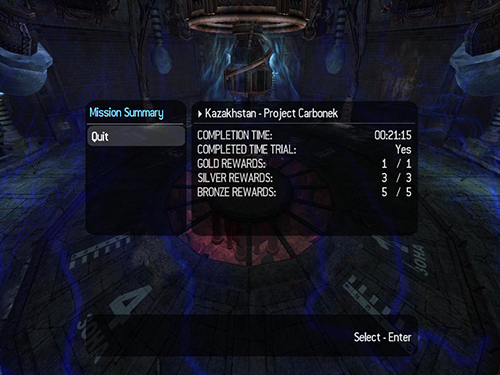 Then use the strategy from the main walkthrough to weaken the monster and grab the sword fragment. Even if you have already unlocked it, do not use the Wield Excalibur cheat. 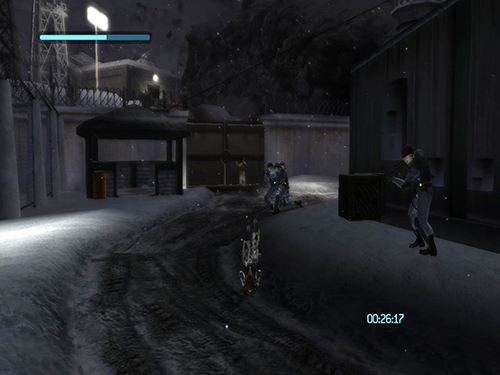 If you attack the Unknown Entity, it will disappear, preventing you from finishing the level. 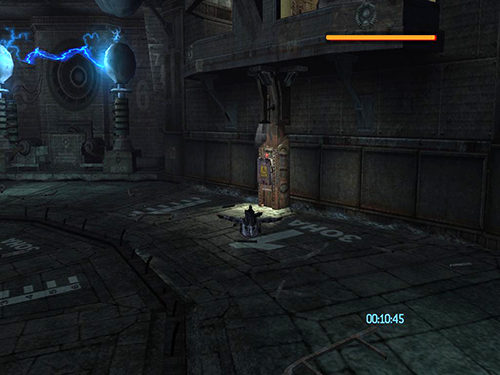 Even if you do not use it against the creature, simply having Excalibur in your possession seems to prevent Lara from grappling the sword fragment. I have not tried this with the Soul Reaver cheat, but I'm guessing the same is true. If you want an edge in the time trial, use the One-Shot Kill code instead. Just don't try and kill the creature this way.